Mains Castle is a Medieval castle believed to have been built around 1562 by Sir David Graham. It was restored in the Early 80's and is now a very popular location in Dundee for couples to be married. This beautiful building consists of 2 banqueting suites, a Medieval Tower house and courtyard. 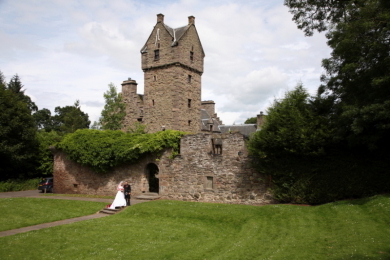 Mains Castle is an approved Civil Marriage Venue in Dundee where couples can be married by a registrar. Religious marriages can also take place in the Castle.